The National Search and Rescue Secretariat recently announced that the City of Chambly, Quebec will be receiving the Award of Excellence 2014 in the innovation category for its involvement in the development of the Sea-Doo SAR, a watercraft designed exclusively for search and rescue professionals. The award will be presented at the SARscene 2014 conference in Niagara Falls, Ontario on November 2nd. The Mayor of the City of Chambly, Denis Lavoie, and the Director of the Fire Department of the City of Chambly, Stéphane Dumberry will be receiving the award. The presenter, SARscene 2014, aims to stimulate discussion and collaboration among people and agencies within search and rescue, emergency and consequence management. It is the largest national search and rescue conference in Canada. The Sea-Doo SAR watercraft was developed by BRP in partnership with the Chambly Fire Department. It was unveiled earlier this year during the Fire Department Instructors Conference in Indianapolis, Indiana. BRP worked closely with the Chambly Fire Department to develop the Sea-Doo SAR watercraft as a utility vehicle dedicated to life-saving professionals. 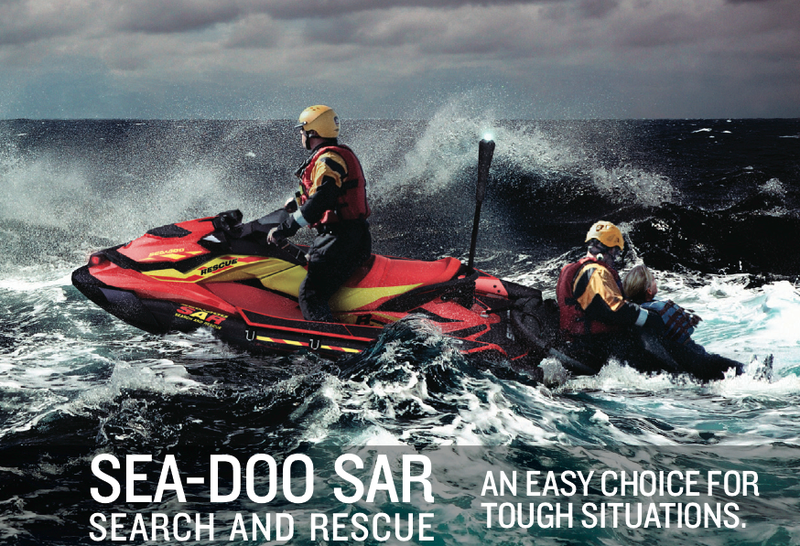 The Sea-Doo SAR watercraft combines the features rescue professionals need to respond in life-threatening situations. You can see the Sea-Doo SAR in action below. “At the Chambly Fire Department, we wanted to minimize the risk of injury to our water rescue team while improving the performance of our watercraft. We worked with BRP engineers at developing a safe, robust yet powerful and nimble SAR watercraft, one tailored to our needs,” said Nicolas Drapeau , Deputy Fire Chief.